Generally speaking, big city offers much better job opportunity and higher life quality, which attract many people to flood into it. However, congested traffic and low air quality may make you want to get away from it. A peaceful town with fresh air, delicious food and kind people must be the good place that can relax you. What you need is an efficient travel transport and Fosjoas K5 standing up self-balancing electric scooter is suggested here. Here are two cases. If the distance between your house and the peaceful down is within 50km, you can directly ride Fosjoas K5 two-wheeled electric scooter. Don’t worry that the adopted lithium-ion battery may run out on the halfway, because it can be replaced with a full one anywhere and anytime. It mainly benefits from the equipped replaceable battery unit. You can as ride Fosjoas K5 two-wheeled electric scooter to your destination as appreciate the beautiful scenery along the road. What is more, you can record your journey via cell phone, digital camera or other electronic devices. If your device needs to be charged, Fosjoas K5 two-wheeled electric scooter offers high-efficiency USB connector. It really gives you a perfect and worry-free journey. What if the destination is hundreds of kilometers away from your house? At this moment, you have two choices. 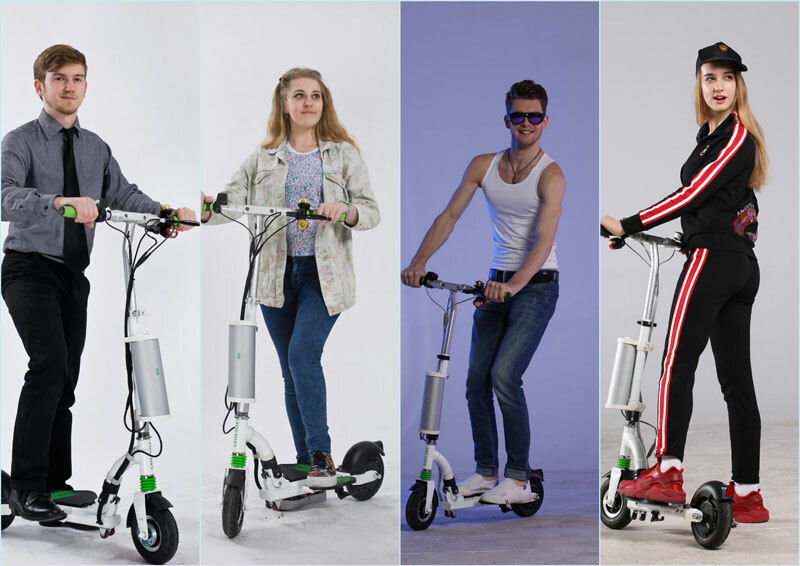 On the one hand, you can put Fosjoas K5 eco-friendly electric unicycle self balancing scooter in your suitcase and take bus, train or even airplane to your destination. On the other hand, you can put it in the trunk and drive your car there. The main reason why Fosjoas K5 electric scooter can be put in small space is because it has triple folding system. In other words, it can be folded into very small figure. When you arrive in that peaceful town, you can ride Fosjoas K5 electric scooter at will.